What do a Wisconsin rock band, a Death Row Records platinum recording artist, and one of the greatest guitar players in the world have in common? 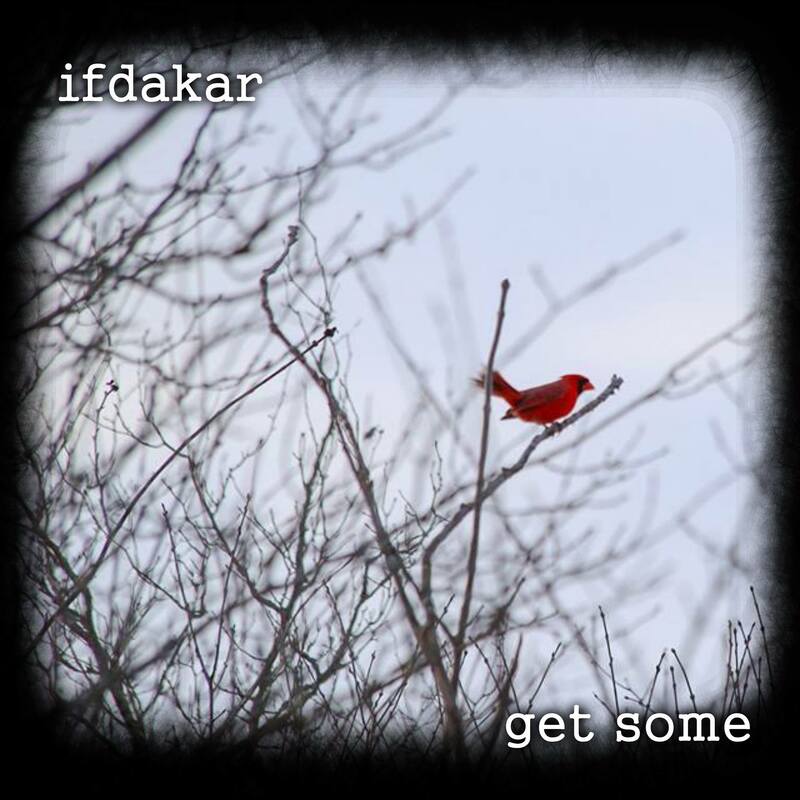 Well, if Ifdakar's new crowd-funding campaign is successful, the answer will be one epic studio album. ​Appleton's venerable jamtronic rockers Ifdakar have teamed up with iconic studio trumpeter Willie Waldman, and Jake Cinninger of Umphrey's McGee on a project slated for release in spring of 2019. Waldman, who produces and performs on the record, has worked with everyone from Perry Farrell of Jane's Addiction and Robby Krieger of The Doors, to hip hop legends such as Tupac Shakur and Snoop Dogg. ​"I met the Ifdakar guys through some gigs I did in the Fox Valley with Organik Entertainment back in the day", said Waldman. "We hooked back up at Summer Camp (Music Festival) a couple years ago, and they invited me to sit in on their set, and I was like, damn, these are great songs! Where have these guys been hiding!? I wanted to get them in by my boy Jake and get some of this stuff recorded. I really think they're one of the best bands in all the Midwest." ​For all of the world class musicians Waldman has worked with over the years, his connection to Umphrey's McGee came about a little more randomly, interestingly enough, as Waldman's sister-in-law was Brendan Bayliss' high school principal. ​"At Thanksgiving around 2004, my sister-in-law told me she had some ex-students in a band called Umphrey's McGee, and I should meet them, so that's how we got that all started. Then I put together the North Indiana All-Stars with Joel Cummins (UM keyboardist), Kris Myers (UM drummer), and Jake, and my L.A. guys Stephen Perkins (Jane's Addiction), Tony Franklin, and John Avila (Oingo Boingo). We did 30 or so gigs over 5 years, all improv. It was a blast, man. But the next move Jake wanted to make was to start getting into some producing, so I set out to find a great band with some great songs to bring to him. The band I found was Ifdakar." ​Ifdakar traveled to Cinninger's home studio in southern Michigan in late 2017 to record 4 songs, which were originally going to be released as an EP. After several months had passed, the group decided they wanted to return to the studio to record another crop of tunes and complete a full-length album. "We really weren't in any rush," said Ifdakar guitarist Curt Biese. "But as time went on, we figured why not just go back down there and get the job done and do a full album. Obviously, the prospect of working more with Jake and Willie made the whole thing that much more desirable. The only problem was figuring out how to fund everything." And that's where the Kickstarter campaign comes in. The band is crowd-funding their efforts to complete the album, seeking $8000 in support, which will go towards more studio time, mixing, mastering, disc pressing, and promotional efforts including a professional music video. "It's kind of embarrassing, to be honest with you," said Ifdakar guitarist Jon Schinke. "We've never really asked anything of our fans other than to come to our shows, and it feels a little weird. But we want to finish this the right way and give this record the due it deserves. This is by far the most ambitious recording we've ever done, with backup singers and the whole works, and of course the amazing performances by Jake and Willie. I think people are going to be blown away. Hopefully they have enough faith in us to help us cross the finish line. I'm confident that the perks included in the contribution packages will help get us there." Some of those perks include your basic Kickstarter elements like signed swag, and advanced copies of the album, but the big-ticket packages are what make this campaign so unique. One package allows the purchaser the chance to attend Summer Camp Music Festival as a member of the Ifdakar crew. Another package gets you a trip to the Moon Dance Music Festival with an all-access artist pass. Yet another package brings an Ifdakar show right into your living room. You could even play on stage with the band at one of their shows. "We wanted to make the packages unique, exciting, and personal", said Schinke. "Something we've learned throughout all these years is that people seem to have the most fun in our Ifda-World when they're up close and personal with the band, when the interactions are authentic and meaningful, and we think that these packages reflect that type of authenticity. Climb aboard the IfdaBus and get ready for a good time. I promise you will enjoy it." The biggest of big-ticket items is a chance to accompany the band on their next recording trip to Cinninger's studio in Michigan, though the package description makes clear that the Umphrey's guitarist may not make an appearance. "We won't really know for sure whether or not Jake will pop in until probably the week of the trip," said Biese. "We'll schedule it for a time when Umphrey's is not on the road, but still we can't guarantee anything. A lot of his work comes in post-production, but he has been there every time so far, so you never know." ​A trip to the Boondock Vortex (Cinninger's studio) would be a real treat for any Umphrey's fan, with or without a visit from the man himself. But beware, no gushing allowed. "It's a really cool place. He's got all these posters and memorabilia from Umphrey's shows on the wall, all his touring guitars and everything. It's awesome and worth the trip for sure. But if it seems like you're going to be a goblin and not be able to control yourself, we might not let you come," Biese said with a laugh. "It will be a lot of fun for whoever purchases that package, but we do have to keep things professional." ​The Kickstarter campaign runs through the 5th of February, but the band can only collect the money if they reach or exceed their goal. Please consider donating to the cause if you can, and share, share, share! "Kool Aid Man" Live Video from the Cabooze! Mark your calendar for Saturday, Aug. 16, 2014 for the 3rd Annual Big Green Sustainable Music Festival. Come help plan the party! Bring your friends, too! Find us on Facebook! Thanks, too, to The Community Foundation of the Fox Valley Region and all our sponsors, vendors and exhibitors for sharing the vision of a sustainable future. As The Big Green grows to become one of SFV's main fundraisers, we are working tirelessly to create opportunities that offer our volunteers a truly exceptional experience. Please spread the word — from leaders to heavy lifters, all help is welcome.